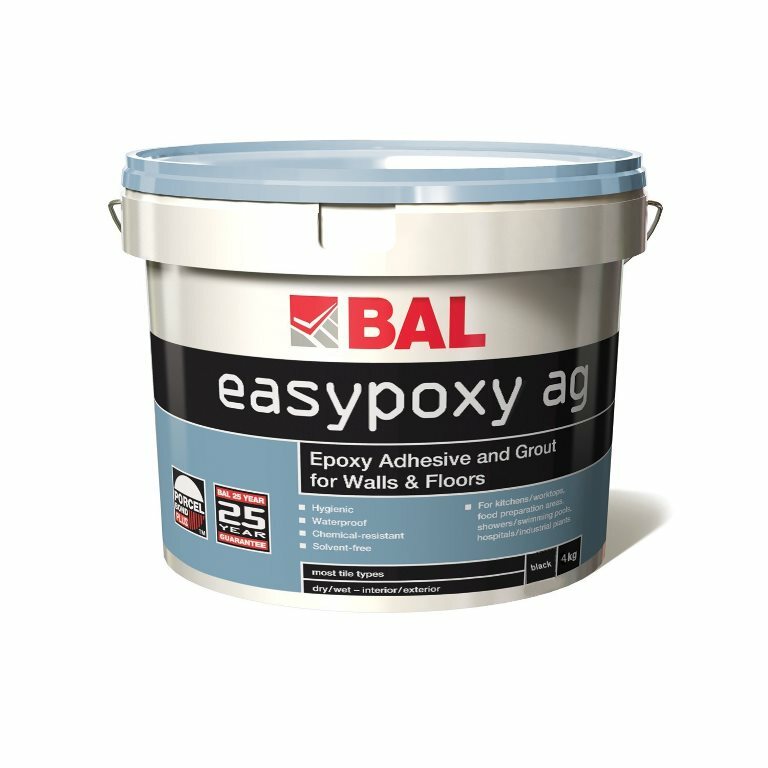 BAL have launched a new and improved formulation of its hygienic waterproof BAL Easypoxy AG epoxy adhesive and grout for walls and floors. Chemical-resistant and solvent free, the new formulation provides end users with an epoxy that is much easier to mix, apply and clean-off during installations. Now available in white, black and grey, BAL Easypoxy AG has an excellent set time of only 12 hours, compared to 24 hours with the previous formulation. What’s more, the new formulation has an extended pot life of 45 minutes, giving users more time to mix and apply. Recommended for commercial and domestic installations including kitchens, industrial/chemical plants, showers, swimming pools and other hygienic critical environments, BAL Easypoxy AG is perfect for ceramics, porcelain and fully vitrified tiles, mosaics and glass or translucent tiles including glass mosaics. Alex Underwood, Head of Marketing, said: “BAL leads the UK tiling market with our continued focus on innovative solutions and leading performance for our end users. This focus ensures we develop new products with our customer base at the heart of this process.